Lentz Leadership Institute, LLC, 9780982303603, 164pp. The Refractive Thinker(r) celebrates the accomplishments of the doctoral scholars contained within the pages of their first volume. The intent is to provide a forum for these authors to share their thoughts and expertise as they contribute to our expanse of knowledge in pursuits of the tenets of and philosophies of higher learning. These individual contributions included a Peer Review Board. The title of this book, The Refractive Thinker(r) was chosen intentionally to highlight the ability of these doctoral scholars to bend thought, to converge its very essence on the ability to obliquely pass through the perspective of another. The goal is to ask and ponder the right questions; to dare to think differently, to find new applications within unique and cutting edge dimensions, ultimately to lead where others may follow or to risk forging perhaps a new path entirely. 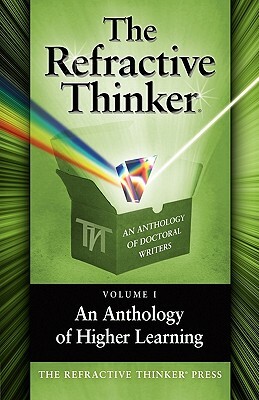 The Refractive Thinker(r) Press presents this collection of the works of 10 scholarly authors affiliated with UOP School of Advanced Studies to include topics such as normative leadership (Dr. Tom Woodruff), value stream mapping (Dr. Judy Fisher-Blando), workplace bullying (Dr. Cynthia Roundy), strategic planning (Dr. Elmer Hall), student financial aid (Dr. Armando Amaro-Salas Jr.), globalization of business (Dr. Ed Knab), organizational culture (Dr. Lisa Kangas), corporate compensation (Dr. Lucy Newman), small private higher education (Dr. Laura Grandgenett), and the concept of failure as an educational tool (Dr. Cheryl A. Lentz.